Migraine - a severely painful, recurrent headaches that is sometimes accompanied by other symptoms such as visual disturbances (aura) or nausea. There are two types of migraine - migraine with aura (formerly called common migraines) and migraine without aura (formerly called classic migraines). If you have a migraine with aura, you may experience a visual disturbance (like seeing stars or zigzag lines or a temporary blind spot) about 30 minutes before the headache starts. Even if you don't experience an aura, you may have other warning signs in the period before the headaches starts (called prodrome), such as a craving for sweets, thirst, sleepiness, or depression. 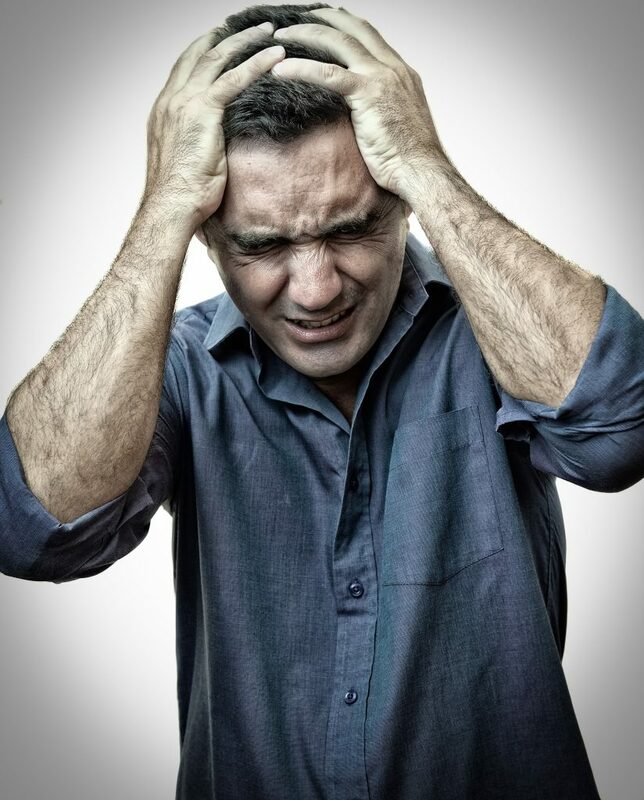 Although there is no cure for migraines, you can manage the condition by reducing the frequency of attacks. Researchers aren't sure what causes a migraine, although they know it involves changes in the blood flow in the brain. Initially, blood vessels constrict (narrow), reducing blood flow and leading to visual disturbances, difficulty speaking, weakness, numbness, or tingling sensation in one area of the body, or other similar symptoms. Later, the blood vessels dilate (enlarge) leading to increased blood flow and a severe headache. There also seems to be a genetic link to migraine headaches. Over half of migraine patients have an affected family member. Migraine triggers can include the following: chocolate, red wine, processed meats, hormonal changes, bright light, depression, overexertion or too little sleep. Several clinical trials indicate that gentle spinal manipulation therapy may help in the treatment of migraine headaches. In one recent study of people with migraines, 22% of those who received manipulation and massage reported more than a 90% reduction of attacks and 49% reported a significant reduction of the intensity of each migraine. In another study, people with migraine headaches were randomly assigned to receive spinal manipulation, a daily medication (Amitriptyline), or a combination of both. Spinal manipulation was as effective as Amitriptyline in migraines prevention and had fewer side effects. Chiropractic, Osteopathy, massage and acupuncture are all treatment options available here in the clinic. You will be asked if you have any particular preferences for treatment before any treatment begins. Acupuncture has probably been the most extensively studied complementary and alternative medicine (CAM) technique, and has been reported as being as effective as prophylactic drug treatment [Endres et al, 2007; DTB, 2010]. A Scottish Intercollegiate Guidelines Network guideline on headache in adults [SIGN, 2008] recommends that acupuncture should be considered for Short-term relief of migraine headache. Guidelines from the British Association for the Study of Headache [BASH, 2010] recommend that acupuncture may provide additional benefit to routine care. In addition to dry needling treatment, our acupuncturists will be able to recommend lifestyle changes, such as suggestions for specific breathing techniques, and dietary modifications. The chiropractors and osteopaths at Taunton Chiropractors Centre are members of the British Medical Acupuncture Society and have many years experience of combining Medical Acupuncture with Traditional Chiropractic care and Osteopathic care. * Please email us if you would like the references from this research material. Guidelines from the British Association for the Study of Headache [BASH, 2010] recommend that acupuncture may provide additional benefit to routine care. NICE has recommended the use of acupuncture for up to 10 sessions over a course of 5 to 8 weeks as second-line prophylactic treatment for migraine. NICE found that when 10 sessions are provided, acupuncture is more cost-effective than no treatment, however from 11 sessions onward, acupuncture is not cost-effective [NICE, 2012].